What does KPI driven development mean at Traplight? Here at Traplight we rely on data gathered from both the product and it’s marketing efforts to help us create high quality Free to Play (F2P) games. The Key Performance Indicator (KPI) driven development combines our game development experience with relevant, reliable data. Below we have opened our most common tests and KPIs that we use to validate our work, and to keep our products on the right track. At the beginning of the project we test the game prototype with internal and external testers. We want to get initial feedback, check crash rates and get data about the first session length. On the marketing side we test our theme ideas with Click Through Rate (CTR) tests to find our potential core audience. The results will support the game team’s creative decisions when going forward with the project. When the build first goes to store, even in one country, we have started what we call the Engagement Beta phase. The goal is to develop the game based on what data we need to get first, and then improve on those numbers with every subsequent update. The focus is first on day one and day three retention (D1, D3) and what we look more than just the separate numbers is the ratio between those two: The D3/D1 curve (and later D7/D3 or D28/D7) gives us a prediction of the longevity and appeal of our game. In this phase we also focus on improving the session count and session lengths. The goal is to create an increasingly engaging and long living game with each update (up to 30 days of gameplay), without yet adding huge social features, live ops or monetisation. The basic game itself should keep players enthralled for 3-4 weeks at least. But as said, our KPI approach is not limited to game development only. On marketing side we focus on finding the core audience for our game: we optimise for high CTR, and seek players with high engagement and retention. On the community the engagement numbers are also much more interesting than sheer volume at this point. We want to know how many players join our community through our in-game link, how actively are they chatting, how much feedback do we get and how many people react to our social media posts. With our current project Battle Legion we started out by building a core game with 5 units and no progression to test if it would be fun. We ran a small campaign with the goal of seeing daily user engagement and D1 retention. With each update we have added more content to the game, with the aim of getting a solid D1 first and getting better with each update. We’ve had a couple of places where the numbers went down, but because we only make a few changes at a time we are able to quickly asses what caused the drop, and get back on track in the next update. Below you can see a breakdown of some of our numbers so far on Android in Brazil. We are moving on to monetisation tests soon using the same methods we have used so far. Instead of trying to build the whole monetisation and shop at once, we build it piece by piece and run tests in between. The goal is to build a monetisation that offers something for every player segment at every stage of the game, and to do this we need tests and data. On Marketing and User Acquisition (UA) side we start to scale up and build Return of Investment (ROI) positive UA on multiple channels, while looking for the best performing creatives and audiences. Community and social media KPIs will focus on boosting monetisation through social events and community actions, and re-engaging segmented players that are on the cusp of churning. The KPI driven development helps us lessen the weight of “what-if”s and “I-think”s during the development: We base our decisions on relevant, reliable data instead of hunches. Of course data and metrics alone don’t create an amazing game, but they guide to the right direction in our design process. The test results help us understand what the players truly want, and this is why having the right KPIs steering our development is so important to us. Tampere saw the rise of two new game development focused events during the last quarter of 2018. There was a definite demand for them: Tampere is the second largest game development hub in Finland, but has had no major industry events to inspire and support the local community – until now. Both events had a distinct angle towards game development, and they brought a fresh breeze of ideas and a good buzz in the local developer community. As an advocate of sharing information and helping everyone succeed, Traplight was more than happy to be part of these events as a sponsor and co-organiser. Check out the events’ descriptions and some photos below! Tim Lönnqvist (Small Giant), Touko Tahkokallio (Supercell) and Reko Ukko (Seriously) discuss designing an original IP F2P game with panel host Taneli Roininen (BON Games) in Manse Games 2018. Organised on 22nd of November 2018, Manse Games is a mobile game conference for industry professionals: A monetisation, UA and design oriented one day event for game professionals who are serious about succeeding in the F2P world. The free event was held in Palatsi venue in the Tampere city center. The lineup of world class speaker dug deep into designing an original F2P game from scratch, building a metrics system to help you do ROI positive UA, what can we learn from the Asian F2P market and how to turn a loved IP into a successful mobile game, among many other topics. The program for the one day event included also lunch, dinner, a party at the venue as well as an after party filled with wild karaoke singing and dancing in a nearby club. Teut Weidemann’s session focused on early, mid and end game monetisation. Based on the feedback that we received afterwards the event was a success. The goal of bringing cutting edge F2P knowledge here in Tampere was filled, and the 200+ visitors and 15+ speakers from all over Finland (and world!) got to network, learn and chill together – Just as we planned. These types of events are absolutely necessary for companies in Tampere region and elsewhere to get top level F2P know-how. It is needed to compete with the current wave of innovative and long-lived mobile games in the market. Events like this do their part in helping the next big hit game come from Tampere, Finland! Riku Rakkola and Antti Ikäläinen enjoying the event. Palatsi was the perfect venue for a one day event like Manse Games. We’ll meet there again in 2019! The idea for Devcon was born over a beer, like many ideas here in Finland do. A group of enthusiastic Tampere based game developers, some focused on mobile, others on PC or consoles, realised they wanted to organise an event for all game developers in Tampere. The aim of this event would be to share experiences and learnings in a brutally honest and straightforward way. In addition, there was a need for the different stake holders of the Tampere game development scene to start discussing and collaborating better – And this event would be the platform for it. The program of Devcon Tampere consisted of postmortems, practical learning cases and a panel, topped with a lunch and a traditional Finnish sauna party afterwards. Devcon was a small, but highly successful gathering, where the local game students, game developers, university researchers, facilitators and the city of Tampere got together, shared learnings and discussed how to build and cultivate the Tampere Games Hub in the future. This type of openness, honesty and collaboration is definitely needed to keep this city’s games scene thriving. It was an awesome experience to be part of organising and hosting the two, new major game development focused events here in Tampere. The results of both were encouraging, and both events will surely keep pushing forward. In 2019 they will be even bigger and better, and hopefully also inspire others to find new ways to get together, collaborate and share information inside Tampere region and in games business in general. Traplight sends a big thank you for all participants, speakers and staff of both events. Traplight’s debut mobile title Big Bang Racing is as UGC as a game gets: since it was launched in July 2016, the Traplight team has created only 0,002% of the 10 million levels in the game, while the players have created the rest. By using a clever voting system in the game the players constantly curate the top content. To understand our Creators, we asked ourselves: Who are the people behind the Top Creators? What makes them tick? We set out on a journey to understand them and we discovered some interesting facts. Which players enjoy creating content? Almost 10 years ago, Minecraft’s sensation gave way for a new generation of players to create with a lot of freedom. It created a shift in paradigms where peer pressure to perform was lowered as everyone was creating, and not only a select few. The goal was not to create one single masterpiece, but to have fun in the process of creation. These players have grown to be known for their ability to dive into creation platforms with ease, and quickly adapt to different technologies and platforms. While we understand the effects of the phenomenon and its impact in the UGC genre, we have observed that not only the younger generation of players are ruled by this increased creative participation, but it seems that they permeate the game and also facilitate other players into being able to create as freely as they do. We have studied the BBR player participation and behavior since launch, and our data shows that players in all age groups participate and consider themselves creators. According to a survey we conducted in early 2017, the largest age segment that considers themselves as creators is between the ages of 11 and 15. However our Top most Liked creators, voted by the community through social validation, are between ages 15 and 48. The largest concentration in this age range is around mid twenties. Big Bang Racing is targeted at a male audience with 70% of our player base being male. Yet, we’ve noticed that female players tend to participate more in creation. According to our poll, 71% of the females consider themselves creators, while males scored slightly lower at 65.5%. With these indications in mind, it’s only natural we consider tailoring UGC games for female audiences targeting their creative expressiveness. BBR’s Top 30 players have made 1685 levels combined, which have amassed 31.4 Million Likes. This translates to roughly 470,000 play hours on these levels in total, with an average of one minute per game. Our studies also show, that these players are 15+-year-old males, with the median age range being between 25 and 30. We interviewed some of these Top Creators, and they told us that they started creating just to see what happened, and to see if they could get some Likes. Others started to make simple levels for their children to play on. All in all, players create to express themselves in one form or another. And naturally, after getting used to the process of Creation, they grow to love it. Below: Toy Factory was one of the themes in the Level Creation Competitions that we organised for the Big Bang Racing community. The Top Creators not only produce amazing quality content for all players to enjoy, but they also activate the community in ways that we as developers can’t. For example, by strengthening their relationships with other creators, they encourage each other to increase the quality of their creations. We can see this very clearly in our Level Creation Competitions, which have been running bimonthly since October 2017. In these competitions players are challenged to create a level under certain restrictions and following a Theme. The first time we ran an event like this, we had a low 25.4% of the entries considered of high quality. We tested their fun-factor, play-ability, flow, visuals and design, and adherence to a theme. In the latest event, in comparison, the high quality content percentage rose to 42.3%. This number has been steadily increasing, even considering that some participants are new and had not participated before. The Top Creators also change the Meta of the game. When a creator figures out a novel new way to use an Editor item, many newer creators begin copying this new method and create trends that change over time. This is because the Top Creators have a large audience following their every move. The other creators start following the Top Creators and start looking up to them so they can learn how to become better creators themselves. We encourage our Top Creators to become Stars in the game by featuring them inside our games. We also do collaborative events where, for example, players are encouraged to follow our hand picked Creator in exchange for exclusive in-game content such as Hats, like we had in one of these events. Some of them, with their in-game popularity, even began their own Youtube channels and started their Youtubing careers. With their success and encouragement from their followers, some of the Top Creators even approached us with much more ambitious plans. One of our most recognized and loved Creator is also an artist and wanted to create his own 3D hat to use in the game on a competition of his own. He created the assets and we revised and included them in the game, making our first asset collaboration: The Time Traveling Hat. These are some of the reasons why we believe that working together with our players creates the most satisfying relationship, and as a byproduct: a game that nurtures creation. We at Traplight have created the tools to offer our players this creative freedom, and cultivated our community to be built around mutual collaboration and friendship. We strive to understand our players needs and build features for them. We know first hand that our players can create amazing content beyond our wildest expectations. Hence it’s easy for us to trust our players with the enormous responsibility of developing quality content for the whole player community. Players can be driven by many different motives, but ultimately, we at Traplight want to give them the means and opportunity to express themselves to their potential. Traplight Games started creating User-Generated Content (UGC) games about five years ago somewhat by accident, and since then we’ve studied the genre and player behaviour quite a lot. Here are our key takeaways we wish to share with you, including some reasons why it may be worthwhile for you to consider adding UGC content to your mobile games, too. Our first UGC game Big Bang Racing, launched in July 2016, approaches UGC from a social media perspective: the levels are designed and created by the players for the players. Like in social media, the level creators receive social validation for their work in the form of likes and follows. Top Creators have amassed tens of thousands of followers and millions of likes inside the game. Our debut title Big Bang Racing has 8 million user-created levels, of which our team members have created less than 0.002%. Around 100,000 of all the levels are of extremely high quality. Soon after launching Big Bang Racing in 2016 we realised that neither the amount nor quality of levels created by the players were going to be an issue. To have even a fraction of players creating content results in tens of thousands of brilliant levels. The Top Creators create so much high-quality content that a game studio could never compete with their output. In Big Bang Racing players who create levels are twice as engaged and monetize better than non-creators. By creating you participate, and participating makes you more involved with whatever you are doing. You put a little of yourself into everything you create. There is something called IKEA effect in play; people who create or participate in creating something, value the end product higher than they would otherwise. Players who create also invest a lot of time and social energy into the game, which makes them even more engaged. When players in Big Bang Racing create levels, they expect to get feedback on their levels from other players. Feedback happens in the form of social validation: likes and follows. Players are also interested in seeing what others have created and want to give out social validation about those creations. One of the most requested features by the creators was the possibility to edit already published levels based on feedback they received from their clan members. This tells us how inherent the expectations for social validation are for players of UGC games. Players get inspired by other players’ levels. They iterate and combine things found from the game, keeping it fresh. This behaviour also forms trends when something new and exciting is found: everyone wants to take part in that movement. In Big Bang Racing we had a few moments where players had exhausted the potential from the available tools. We decided to add creative tools that gave new functionality and repurposed some of the old. The result? The game was instantly fresh for non-creators and full of potential for creators to invent new trends. In social media, where the creation tools (eg. cameras) are completely in the hands of the users, it’s much harder for developers to contribute to keeping the content of the platform fresh. In UGC games however, the creation tools are part of the game, and by releasing new updates the developers play an integral role of setting new trends and helping creators innovate. A game that is based on UGC has a unique feel to it. It has a promise of something more than just playing. Highlighting these creative aspects of the game makes it easier to distinguish from the competition. UGC has also given us synergy with social media influencers. YouTubers, like Nickatnyte, EthanGamer and Annoying Orange, have created videos about the Big Bang Racing, and many others have hosted tournaments with their custom-made levels. We feel that UGC games have a huge, yet undiscovered market potential. Lately this has shown in successful storytelling, home decoration and fashion designer games targeted at a female audience. There are still many genres and markets to be discovered with UGC games, so it’s definitely worth considering adding UGC elements in your games as well. This text was also published by PocketGamer.biz as a guest author article. Thank you PG! 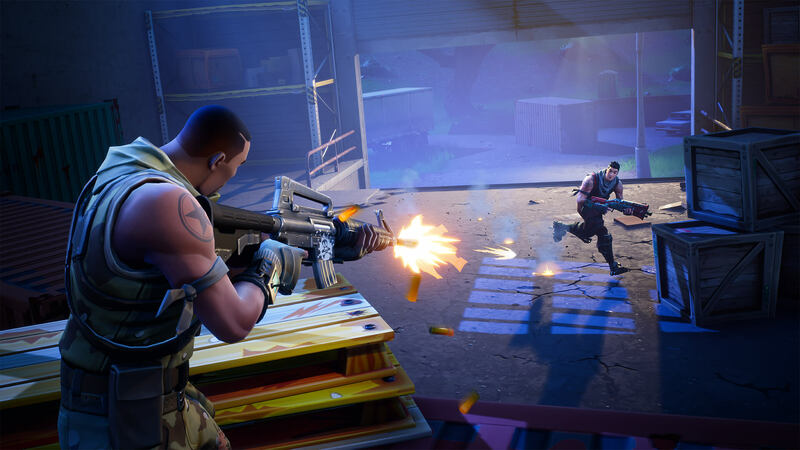 Viral Visionaries: Why is Fortnite so popular with influencers? Influencer Update’s Viral Visionaries Panel this week’s topic was the sudden popularity of Fortnite among influencers in both YouTube and Twitch. Influencer Update asked the expert panel, including Traplight’s Marketing Manager Veera Rouvinen, why is Fortnite so popular and how does this phenomenon affect YouTube Gaming in the future? “One reason, a very obvious one, is that Fortnite is free to play, unlike the biggest competitor PUBG. A colleague of mine pointed this out very well: “If I were 13 right now of course I would go nuts over a free-to-play battle royale game.” The graphics and play style also support a less serious, fun-filled gaming liked by younger audience in contrast to PUBG’s realistic graphics and guns etc. The graphics style and easier mechanics also make Fortnite’s gameplay easier to follow on stream (eg. easier to see where the bullets fly, who is winning the gun fight etc.) The building aspects of Fortnite bare resemblance to Minecraft, which we know has already defined a whole generation of gamers. And the pvp mods of Minecraft were already popular with kids before the launch of Fortnite, so moving on to Fortnite has been an easy choice for them. It just seems that Fortnite is everything that the “Minecraft generation” has been waiting for. These players are also YouTube and Twitch native, and consume influencer content at much higher rate than older players. The sheer amount of young, influencer-friendly players makes the game obviously interesting for both Twitch streamers and YouTubers, on top of the fact that battle royale is a very streamable/YouTubable genre in general. As a free-to-play game with clear visuals Fortnite is easier to pick up than eg. PUBG. Read the rest of the article and other panelists’ comments on Influencer Update.